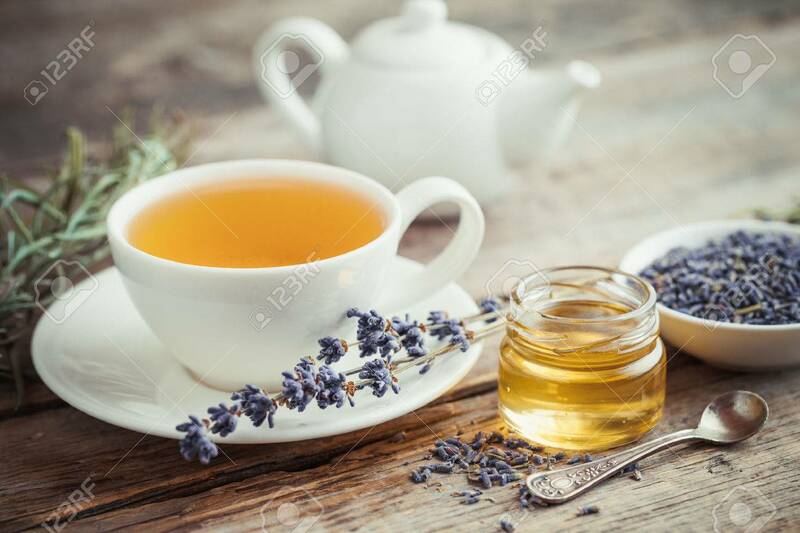 Healthy Tea Cup, Jar Of Honey, Dry Lavender Flowers And Teapot.. Stock Photo, Picture And Royalty Free Image. Image 48485254. Stock Photo - Healthy tea cup, jar of honey, dry lavender flowers and teapot on background. Selective focus. Retro styled. Healthy tea cup, jar of honey, dry lavender flowers and teapot on background. Selective focus. Retro styled.